Khajjiar, prominently known as ‘Mini Switzerland of India’, is a famous hill station of Himachal Pradesh. This place is of the limited number places in the world that bear tropical resemblance to Switzerland. The fresh air mountains, picturesque landscapes, snow-laden mountains and encompassing dense devdar forests makes it an adventurer and nature lover’s playground. Khajjiar is also called the Gulmarg of Himachal Pradesh and serves as the starting point for treks to Chamba, Dalhousie and Kalatop Wildlife Sanctuary among others. Zorbing, which involves rolling downhill from inside a plastic ‘zorb’, is a popular recreational activity of this place. The Kalatop Wildlife Sanctuary is a delight for nature lovers and wildlife photographers. Airy, spacious and decently furnished accommodation with attached baths and running hot & cold water. Surrounded by cedar forest, the lake is located at an elevation of 1920 m. The lake is a popular tourist spot of Khajjiar where people can enjoy numerous recreational activities or can enjoy the beauty of the landscape. The site is perfect to spend some moments of solitude far away from the hustle and bustle of the modern crowd. It offers peace and tranquillity to the visitors. On a clear and sunny day, tourist can enjoy the amazing view of Mount Kailash from the Khajjiar Lake. The main attraction of the lake is the floating island which is actually a cluster of grass and weed growing on the surface of the lake. The amazing sight of the stunning landscapes coupled with the shimmering lake, makes a visit to Khajjiar lake a must visit spectacle. With dense Deodar and fir forests spreading over 19.63 sq. km, the Kalatop Khajjiar Sanctuary is located at Kalatop near Khajjiar in the Chamba district of Himachal Pradesh. It is situated at a distance of 6 Km from Dalhousie. The Sanctuary boasts of a huge variety of wildlife like Bear, Himalayan Black Marten, Leopard, Deer, Barking Goral, Squirrel, Serow, Jackal, Langur, Himalayan Tahr, Goral, Ibex, Himalayan Squirrel, Muntjak, etc. 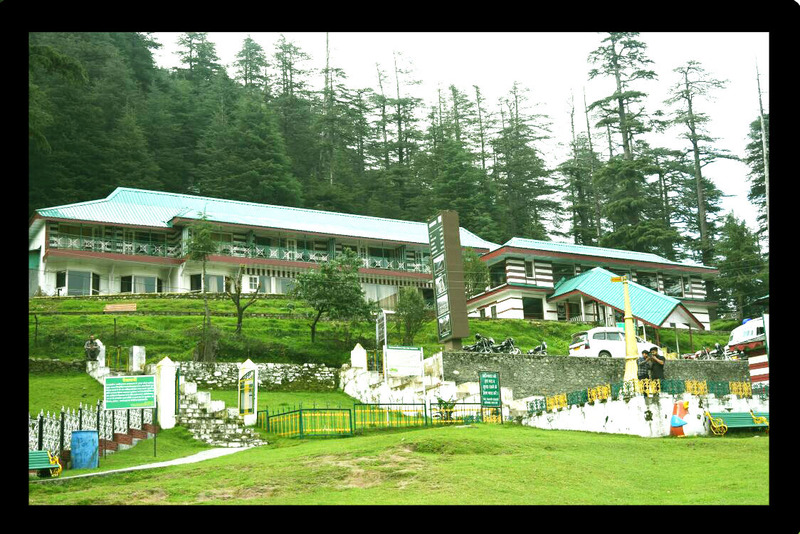 Extremely admired by the tourists, the sanctuary has a perfect route for trekking from Dalhousie to Kalatop. Jungle Safari and hiking are other interesting ways to explore the wildlife. Eco tourism society handicraft shops near forest office.